The lyrical whiz with an overwhelming flow Tommi Langen, known to many as Tommishock, has been a part of the Finnish rap scene for a while now. 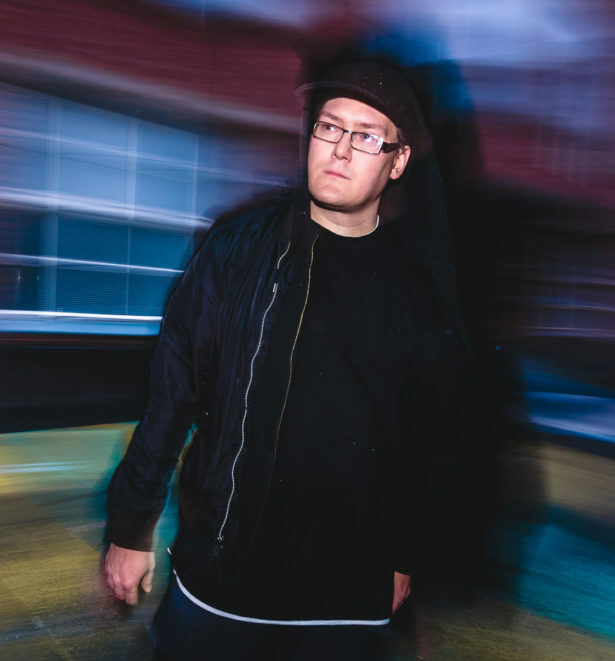 In his long and successful career, he’s released his own material in both Finnish and English, been founding Ruger Hauer with fellow rappers Paperi T and Pyhimys, earned the title of being rap’s Finnish champion and been putting his mark in hundreds of songs in terms of producing, mixing and mastering. Tommishock’s works include albums such as ”Uhanalainen muukalainen” released in 2012, ”Legenda Langen” in 2013 and a joint-project ”Rotaatio” with Kalifornia-Keke in 2016. In 2018 he released ”Ydintalvi”-EP that showed a whole new side of him as an artist. ”Musta Maserati”, a song with Alpo as a featuring act, is Tommishock’s newest release but he is currently working on a new album which we’ll hear more later on during this year.